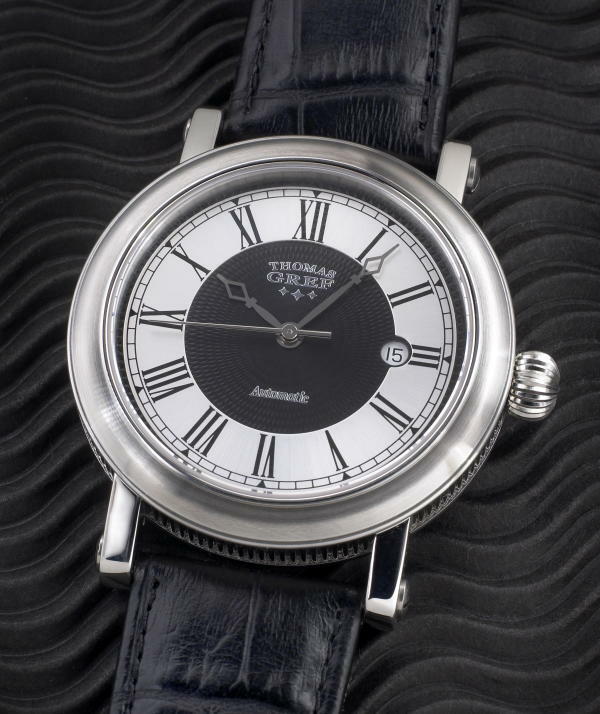 The Coronado has a finely detailed case with a classic style. The bezel has a satin brushed finish, which provides a nice contrast to the mirror polished coin-edge detail around the side of the case. 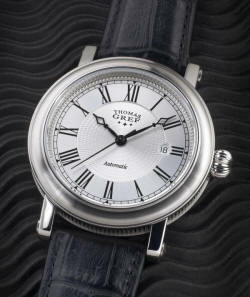 The case measures 43 mm in diameter, 11.2 mm thick, and takes a 22 mm strap. 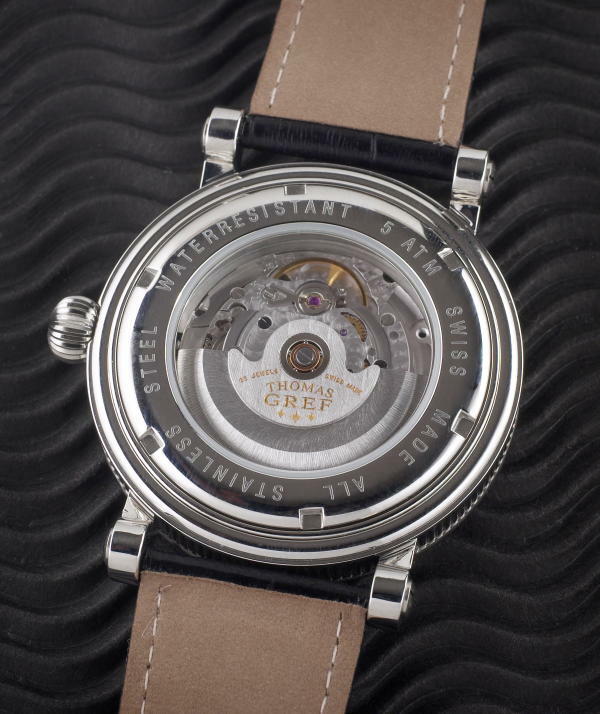 A sapphire crystal is used on top, while the screw-back features a mineral crystal to view the movement. The Coronado comes on a strap that is hand-made in Germany of fine Italian alligator grained calfskin. 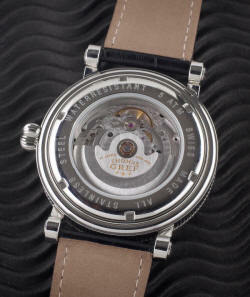 The Coronado has three dial options as shown. 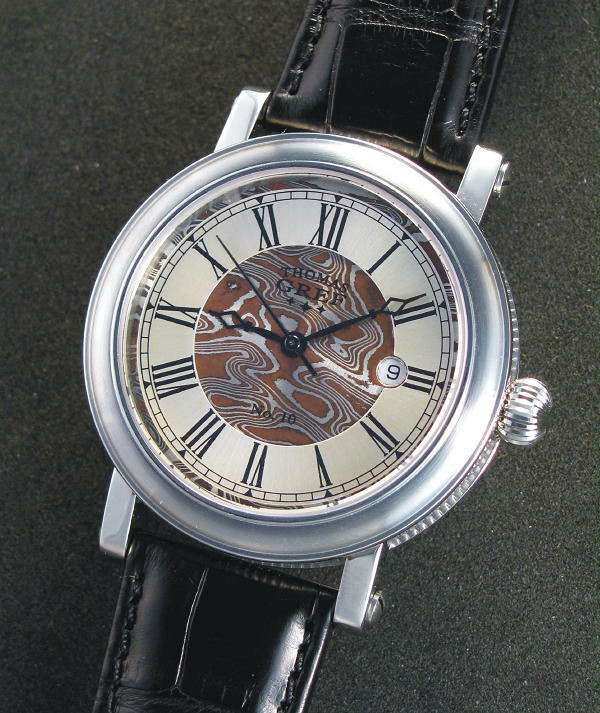 The two roman dials have a guilloche textured background, with an applied ring printed with roman numerals. The third option is an arabic dial which is silver and is finished in a fine contrasting texture. The Coronado watch is now available, in limited numbers, with a mokume-gane dial. Mokume-gane is an ancient technique developed by the Japanese that creates unique patterns in metal. In Japanese, mokume-gane means "wood grain metal". Alternating layers of metal are diffusion bonded into a single billet. The billet is hammered and manipulated to expose the layers in the metal. This technique is very similar to damascus steel, commonly used in knives and swords. There are two varieties of mokume-gane available on the Coronado. One version uses only copper and silver, which has a traditional ‘woodgrain’ appearance. The second version, called 'Lava', adds two more alloys to the mix, and has a random pattern with slightly more color variation. 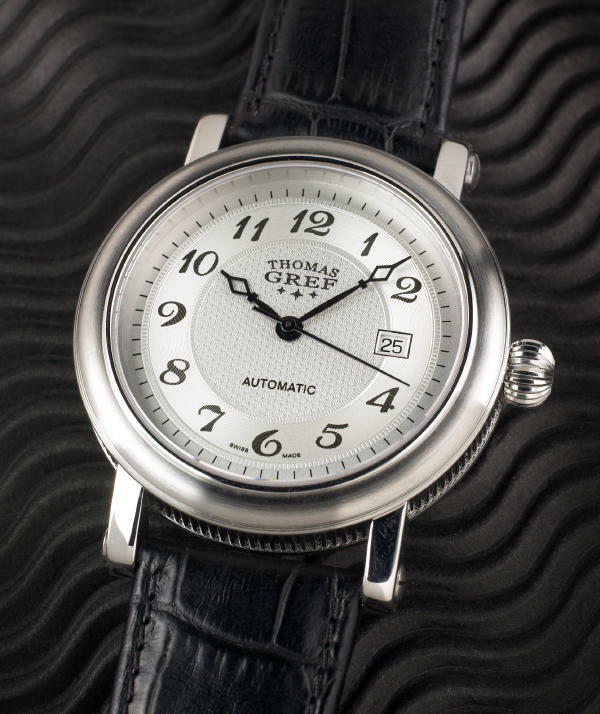 These dials are entirely hand made, and no two are exactly alike. 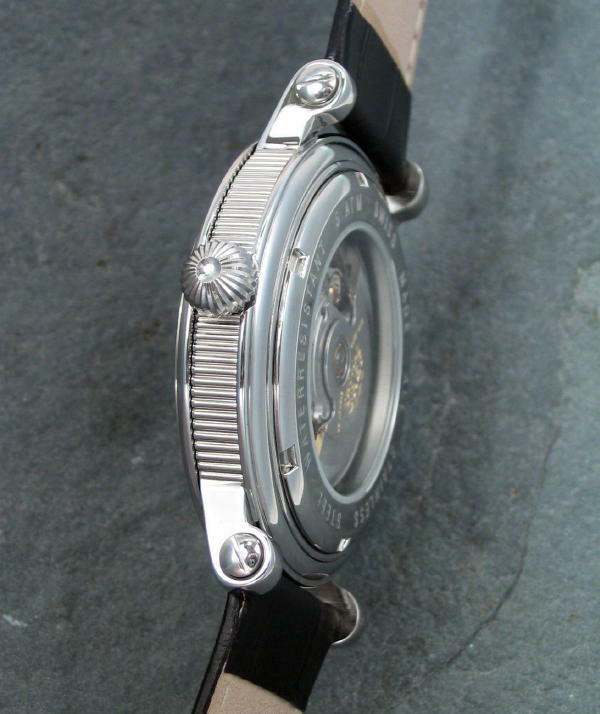 The raw material is hand formed, each dial is cut out by hand, and is hand finished. 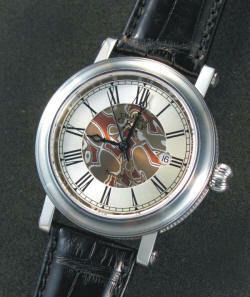 A patina is hand-applied to each dial to bring out the color variations. They are then lacquered to protect the fine finish. 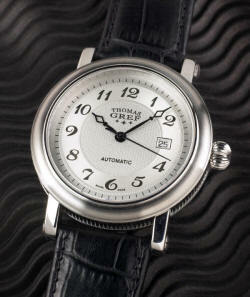 Each one of these watches is individually numbered on the dial. 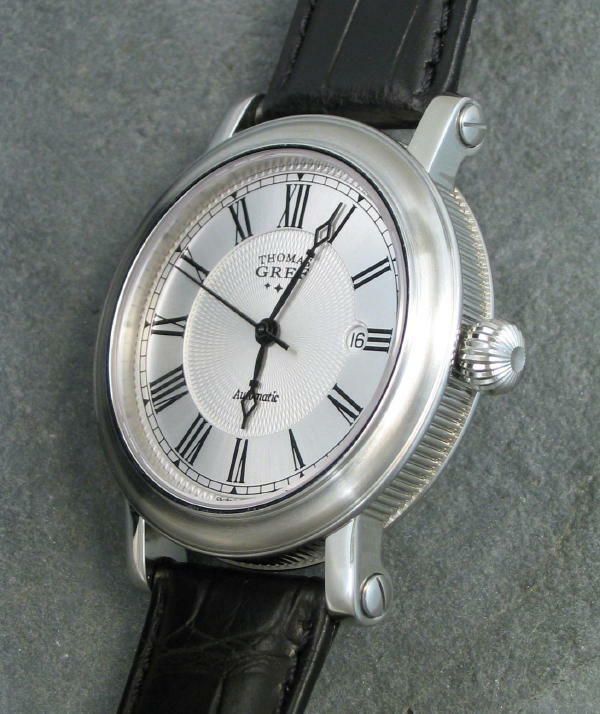 They come on a genuine Alligator watchstrap.